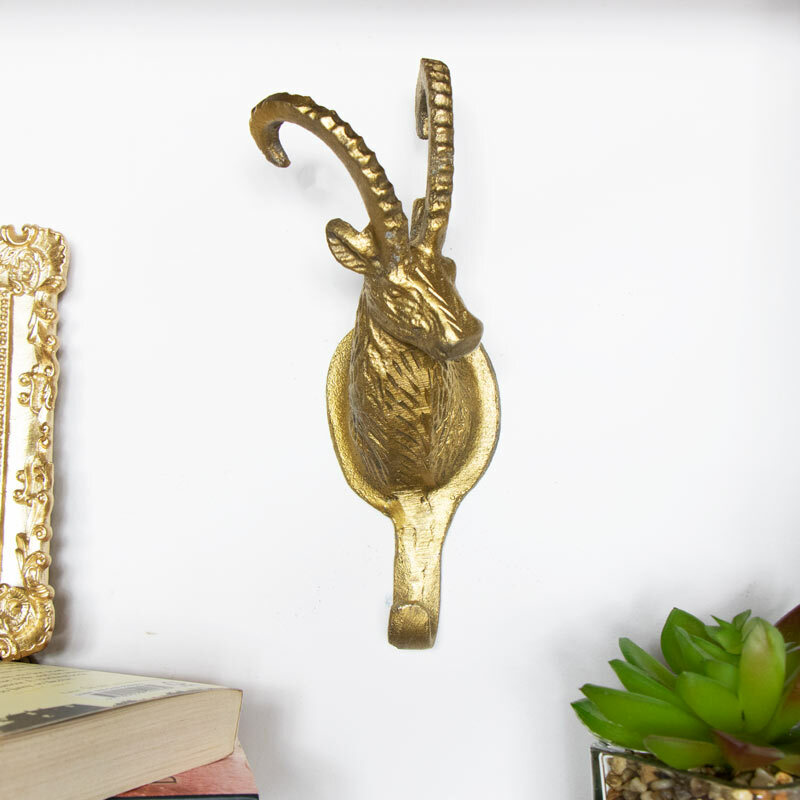 This gorgeous rustic single hook Ram Coat hook is a lovely accessory to any home! This hook is wall mountable, metal and practical to hang coats, towels or accessories. It's rustic aged gold look adds to its distressed industrial charm making it ideal for use in hallways, bedrooms or bathrooms. 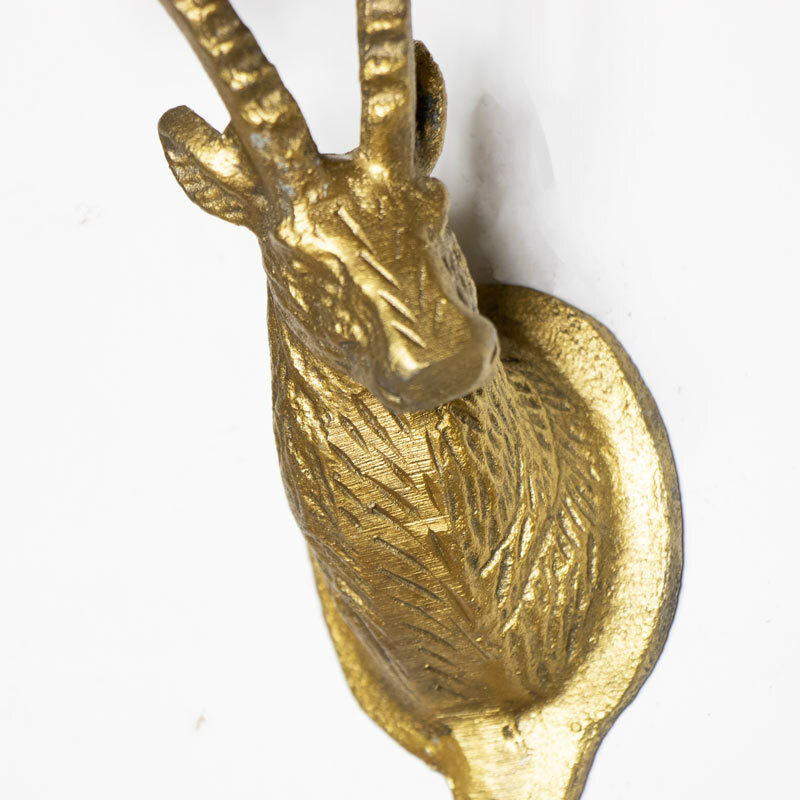 With golden detailed horns and lovely carvings on its neck and face it adds a more realistic look to this adorable single hook. With a single hole in the back it is easily wall mountable and we supply a single screw and wall plug. We have many different wall mountable hooks both animal and generally rustic. Why not take a look and mix and match to complete your ideal rustic interior.